LIP BLED receives certificate for its excellent credit rating | LIP BLED - a touch of nature in your home. 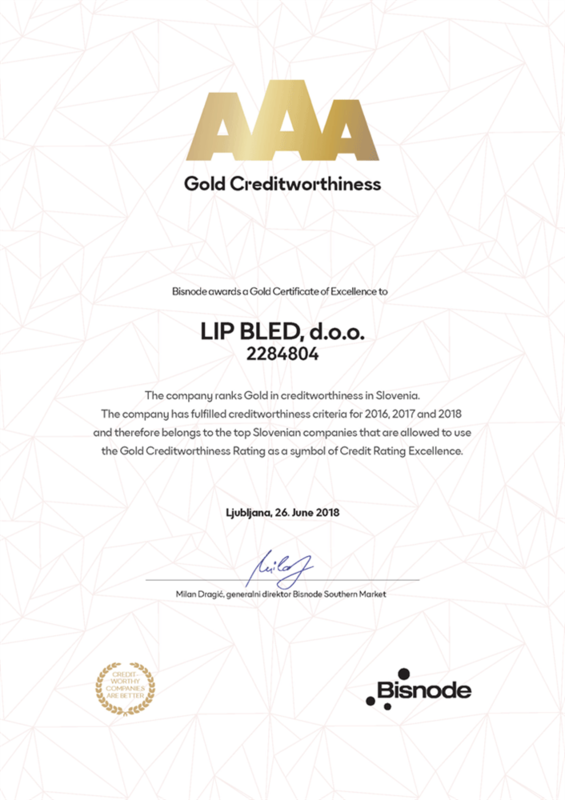 LIP BLED, d.o.o., met the standards of credit rating excellence for 2018 and is one of the top Slovene businesses entitled to use the AAA rating as a symbol of its credit rating. LIP BLED, d.o.o., has one of the best credit ratings in Slovenia. The top credit rating certificate is awarded to companies with an excellent credit rating. It is based on their annual financial statements for the previous financial year and forecasts secure business operation for the next 12 months.